Ice fishing during winter is already a favorite activity amongst anglers. Ice fishing for bluegill is very easy and super fun. All you need for this fishing technique includes a few inexpensive items, and you’re set to go. You don’t need any fancy or expensive instruments to locate fish under the ice, and yet you’ll be able to catch up some pretty good bluegills right under the ice. If you want to learn the techniques on how to fish during winter for bluegills, then simply read on as this article includes all the best tips and tricks regarding ice fishing for bluegill and how to actually end up with a lot of fish. There are quite a number of things that you can do if you want to become an expert in ice fishing. Here is a list of things that you can do to improve your ice fishing skills. The very first thing that you need for ice fishing for bluegills is a lake that has an abundant supply of, well, bluegills. It can be quite easy for you to find, since most lakes and ponds have a decent supply of this fish, especially in America. This is pretty self-explanatory. If you’re going fishing out on a winter’s day, then you most definitely need proper warm clothing that will keep you warm and protected. Ice fishing is pretty cold and to stay extra protected, you can always choose a pair of heavy and waterproof mittens so the cold can’t affect you much. For ice fishing, you can always choose to get a low-priced rod with no reels or including a simple spool reel. This won’t cost you more than a few dollars at any local fishing store or tackle shop. This can be a little tricky as your line can’t be too heavy or too light. The best choice for ice fishing for bluegill would be the typical 2-4 pound test. You should use best ice fishing line for this purpose. Anything heavier than this would actually be problematic since you won’t be able to attach the small lures to them properly and your fishing wouldn’t be as effective. There are tons of accessories available in the market for bluegill fishing. You can actually buy an assortment of bluegill jigs at any fishing store and they’re all very cheap. When deciding on hook sizes, the size range from 8-14 is the most common one. You should get the smaller sized hook, say, ranging from 12-14 range if you are planning to catch some finicky bluegills. If you didn’t know before, there are also a lot of bluegill or panfish fishing kits or combo kits, which are sold in any regular fishing store, or sports shop or even online. Therefore, you should have no problems finding such kits. However, if you have decided to go ice fishing all of a sudden and nothing was planned beforehand, then you can use trout flies together with a small split shot for adding the weight on your bait. All these quick-witted ideas seem to work pretty well too. For the bait, you can choose a number of items. For bluegill fishing through the ice, waxworms and mealworms seem to work as a great idea for the bait. These worms are not only easy to maintain but can also be readily found at any sports shop during the winter season. In order to be able to fish in the ice, you will require something to bore a hole into the ice. If the area you have chosen for fishing has a lot of fishermen, then you can expect to find some holes already existing in the ice. However, be warned that these holes could already be filled overnight, and so plan ahead, and bring a hatchet so you can clear up any hole that was previously made. A really good way to carry your catch for the day is with the help of a bucket. Choose one of a decent size or any size that you prefer, and you have something to carry your fish in if you plan on keeping any. Furthermore, not only does this bucket allow you to carry your fish only, but you can also use it to carry all your fishing gears and assortments. Besides that, if you get tired of standing, simply toss the bucket over and you have a perfect stool for resting while waiting for your fish. It is basically like one bucket that solves multiple problems. There are gas powered ice spuds in the market that are capable of cutting through the tough ice a lot faster compared to the manual ones. Although carrying one might be very difficult, they sure are a lot handy when the ice is extremely thick. A shanty or an ice shelter of any form is usually very comfortable. These will provide you shelter from the harsh winds and you can actually fish in peace. Not only are such shanties cozy and protective, but you can actually see beneath the ice since they help to block any kind of light or glare outside. Seeing the fish swim beneath you, can actually be very exciting as they swim forward and fall for your bait. This is completely upon you to decide. If you feel you have extra room to carry a heater, then why not? You’ll be more comfortable, and warm, and your entire bluegill fishing experience will be very enjoyable and comfortable. Now although this can leave you scratching your head, it isn’t actually as difficult. Usually, during the early part of the ice fishing season, you can easily find some on the main parts of a lake, on places such as among the shallow weedy flats. Other than that, bluegills can also be found in small bays and cuts. Another trick is to remember where you found a great amount of such fish during the summer. It is common to see that usually, the same spot can harbor a lot of fish during the winter season as well. Yet another trick to know where you can find a lot of fish is to observe other experienced fishermen. It turns out that these fishermen have years of knowledge about which spots contain the most number of fish. 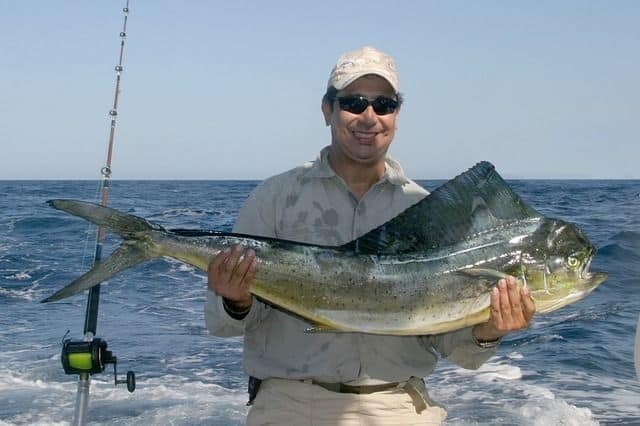 Some fishermen will be so experienced that they are familiar with the lake itself, or have caught fish from a certain spot the previous day, and so knows the exact location which will yield more fish. If you happen to see such experienced fisherman, do take note and do the same if you want to catch some fish. There are several techniques that you can follow, but the most common method to attract the attention of a bluegill is to jiggle your bait. You will find many a time that a little shake of your rod will actually be working for you. However, just because striking with your rod seems to be working for the time being, it doesn’t necessarily mean that it will work all the time. On some other days, you will see that the same technique will actually yield the exact opposite result. On days like these, when your first method doesn’t seem to be working, simply hold your bait still and the rest will take care of itself. At the end of the day, it all depends on which trick seems to be working at that time. So apply which works best, or go for a mixed approach when it comes to attracting your bluegills. It is wise to remember that fish have a certain behavior of their own and that environmental conditions affect such behavior. In order to successfully catch as many bluegills as possible, you need to understand these behaviors and adjust yourself according to the ever-changing conditions. It can be said that the behavior of fish can vary across different lakes and from place to place. However, according to experienced fishermen, you can never go wrong if you target the weed beds. You might be wondering how you can locate such weed beds, and that too, during icy cold winter. The best bet might be to exchange ideas with the locals of that area which include, fishermen, fishing shop employees, and owners. An alternative way to find weed beds is to look at the color of water when the hole is cut. If the water is clean, that means there is weed underneath. If however, the water is dark in color or muddy, then there’s actually no weed. you might fish blindly and get lucky if you get a good catch. Nonetheless, having in-depth knowledge about the depth and the position of the fish will give you a better idea about fishing in ice and increase efficiency. You can also use a portable gadget, such as a fish finder, which can help you gauge the distance of the fish, the position and help you choose better. Some fishermen exclaim that a flasher is better than a fish finder since it allows you to locate your fish specifically, especially when it is only a few inches away. However, on a fish finder, when your fish is close by, it’s difficult to tell because you don’t see it clearly and all you see is a blob. Another benefit of the flasher is that it actually portrays the size of the fish, thus allowing you to choose the biggest one of all amongst the rest. Fishing on ice may be fun, but it also comes with its own risks. Every frozen lake or pond which allows fishing will have a safety scale along with it. The level of risk is usually associated with the level of snow. The thicker the snow, the safer you’ll be. Normally, snow that reaches up above 4 inches or so is considered safe for ice fishing and other activities on foot. It is very important that you place your jig the right way if you want to catch some fish. Commonly, the jig is placed vertically in the water, resembling a teardrop shape. Yet still, this option doesn’t always work. When you notice that the fish has stopped biting a vertical jig, then it’s time to switch up the position and place a horizontal one instead. This tip is an entailment of the previous one. When you find out that your jigs aren’t attracting much fish, you can try changing the size of your jigs. Switch between small jigs to big ones, as this will help to attract fish of different sizes. The color of jigs can help at times too, but it is the size that you want to focus on mostly. In order to catch as many fish as possible, you can try attracting your fish with some additional worms or spikes. Simply crush whatever bait material you have at hand, and drop them down the ice hole. Doing this will not only get fish rushing towards the food but will also help you get more fish easily as they will bite more aggressively. So now after reading this article on ice fishing bluegill tips, hopefully, you have successfully learned a technique for bluegill fishing at an icy area. If you were not as confident to go ice fishing, now you know most of the important tips and tricks on how to go ice fishing for bluegills during winter and make the most out of your fishing experience. You have been carrying out a fantastic job.